Malibu Dry Oil Spray Factor 8. 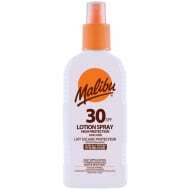 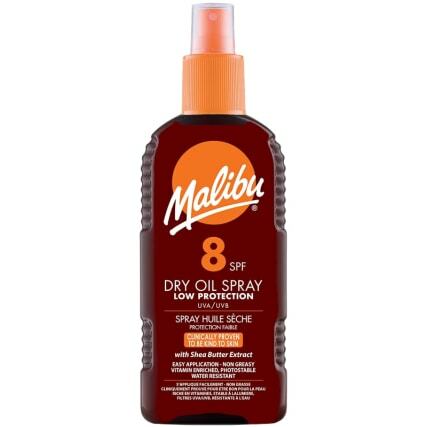 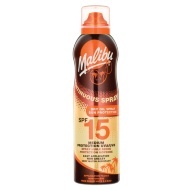 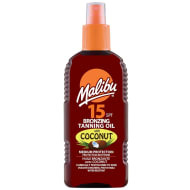 Protect your skin while out in the sun by using Malibu Dry Oil spray. 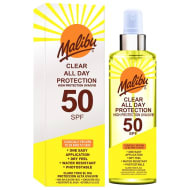 This vitamin enriched dry oil provides low protection from the sun and is very easy to apply. 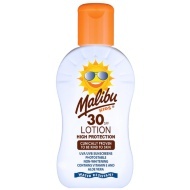 Clinically proven to be kind to skin, with shea butter extract.